Off late the non performing assets (NPAs) accounting to education loans are on the rise in India. According to the data by the Indian Banks Association, the percentage of NPAs to outstanding education loans rose from 7.3 per cent in March 2016 to 7.67 per cent in the following year and then jumped to 8.97 per cent in March 2018. The outstanding education loan amount at the end of 2017-18 was Rs 71,724.65 crore, of which Rs 6,434.62 crore was NPA. Experts say that corrective measures need to be taken by the government to control the situation. Interestingly, the education loan market in India is estimated to be around Rs 733 billion and out of this 95 per cent is funded by public sector banks (PSBs). Cooperative banks offer education loans worth around Rs 20 billion and non-banking financial companies (NBFC) provide around Rs 50 billion. “Education loans as well have started giving discomfort to the banking sector with the default in repayment rising to 7.7 per cent of the outstanding amount in March 2017 from 5.7 per cent two years ago (2014-15), which rose to 7.3 per cent in the following fiscal (2015-16). The government had earlier modified the Indian Banks Association's Model Education Loan Scheme with a view to reduce the incidence of NPAs in the segment. 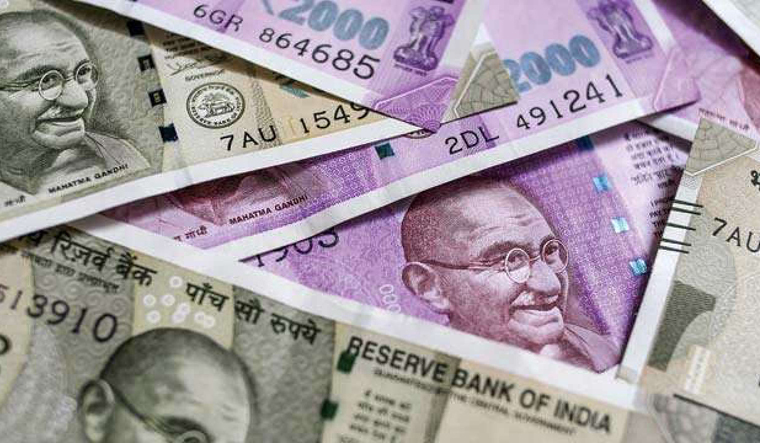 The changes made in the scheme include extension of repayment period to 15 years and the launch of credit guarantee fund scheme for education loan (CGFEL) for up to Rs 7.5 lakh,” explained Rajendra Kumar Sinha, professor and chairperson, Centre for Excellence in Banking, IFIM Business School in Bengaluru. Sinha observed that the growth rate of education loans declined to 2.7 per cent in 2017 from 17 per cent in 2015.This is attributed to NPAs of PSBs increasing to 7.7 per cent from 5.7 per cent during the period as per CARE Ratings. According to Sinha, Tamil Nadu accounts for over 40 per cent of NPAs in the educational loans given by public sector banks and two Chennai-headquartered public sector banks, Indian Bank and Indian Overseas Bank, alone had NPAs of Rs 1,211.74 crore in education loans. “The primary reason for stress in education loans is not having any collateral against small window loans (below Rs 4 lakh earlier, now increased to Rs 7.5 lakh) and lower employment opportunities after completing such courses are the major reasons why loans are unpaid these days. As per the RBI data, a majority of education loans distributed are within Rs 5 lakh. Further, the delinquencies are higher in undergraduate courses vis-à-vis post-graduate ones, as employment opportunities are lower in those segments. Besides this, there has been the risk of geographical concentration as well, as the banks were skewed towards the southern region while disbursing loans with the premise of higher literacy rate and students’ inclination towards higher education. The southern region got 56 per cent of education loans, followed by the eastern region (13 per cent), the west (12 per cent) and the central region (10 per cent). Tamil Nadu and Kerala together received 36 per cent of loans. These two states also showed higher delinquencies of around 10 per cent,” added Sinha. Sinha also suggested that the appraisal of education loan need to be made more realistic at operating functionaries’ level. “The pragmatic approach for moratorium period to be considered on starting of repayment of education loan with a minimum period of one year after course completion. Repayment period considerations has to be realistic and need to be for longer period of 15 years, so that burden of repayment is affordable to the borrower,” remarked Sinha. C.S. Sudheer, CEO and founder of IndianMoney.com, said that in the past few years, Indian banks have seen a 142 per cent rise in defaults on education loans by students, as most private banks give this sector a miss. “Hiring has slowed down and many tech companies have laid-off employees. Students are not getting placed and have defaulted on education loans. The Cabinet has approved the continuation of the Credit Guarantee Fund for the education loan scheme, where the government provides interest subsidies to students whose parental income is up to Rs 4.5 Lakhs to cover loans up to Rs 7.5 Lakhs without any collateral. There’s a guarantee up to 75 per cent of the defaulted amount. Banks can heave a sigh of relief. However, banks need to monitor the quality of the loans as most defaults are in undergraduate courses or with small ticket loans. At the same time, banks need to take a closer look at new colleges and courses to check potential employability before lending. Defaults on education loans are less in case of third-party guarantee. Banks don’t sanction education loan for students getting admission under the management quota,” Sudheer told THE WEEK.